Approved For Professional And Amateur Use. Water Based Aerosol. Natural Ingredients. Rapid Action. 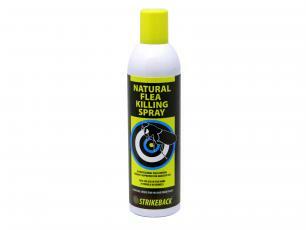 Highly Effective As A Space And Surface Spray. Kills Most Insect Pests, Including Fleas. Safe For Use In Many Areas, Including Kitchens. Pleasant Fragrance.